Setting up a personal injury trust does not have to be complicated or expensive. I will offer a fixed fee in most case of £480 including VAT. A personal injury trust is a trust which holds personal injury compensation. Benefit regulations allow personal injury compensation to be ignored, provided the compensation is held separate from your personal funds in a trust. A personal trust is perfectly legitimate. I have set out all the points you must think about and the information I will need to help you. The answer to the needs of compensated people in receipt of benefits or care is a bare trust to hold personal injury compensation. This is the simplest form of trust, is easy to manage, has no tax complications and allows the compensated person to retain a level of control. Provided you follow a few simple rules, you can use the trust fund with freedom. A trust should have at least two trustees. A friend or family member can act as trustee provided they are at least 18 years of age. You may be a trustee, but it is best for you not to be a trustee. The trust will hold your money, so I can understand why you might want to feel in control and hold the cheque book. If you decide to be one of the trustees, you should have at least two other trustees. The reason for this is that a bare trust is a “device” for holding your own money. If you were ever left as the only trustee your trust ends and the protection of the trust will be lost. This would only happen if your other trustee died suddenly, the trust ending at the time of that death leaving you no opportunity to add another trustee. I appreciate this may seem unlikely but I think the third trustee a very necessary precaution. I am also concerned that as the only remaining trustee of a trust which could be said to have ended, access to trust funds and assets will be difficult. I appreciate you may have concerns about privacy and convenience, but if you are to be a trustee and prefer to have only one other trustee, we need to discuss that as I will require your specific instructions that you understand the risk and wish to proceed on that basis. I will need the full names and addresses of your trustees. When choosing trustees please make sure they have a good credit history/rating. The trustees will have to open a bank account and a poor credit score may mean a bank or building society will refuse to allow them to be an account holder. We must plan ahead and consider what should happen to the money in the trust if you die. The simplest approach is to include a clause in the trust which transfers the remaining trust fund to your estate so it can be dealt with in accordance with your Will. This strikes me as most sensible as having separate provisions in your trust and Will may frustrate your ultimate wishes. The alternative is to appoint a beneficiary or beneficiaries so the trust fund will pass to them in the event of your death. You are not bound to follow my suggestion. If you want the trust to contain a clause which deals with distribution of any funds in the event of your death please tell me what you have in mind. I have to be mindful of the regulations which apply to money laundering. These regulations are the reason you are asked to prove your identity when undertaking a financial transaction. Please therefore send me your driving licence or passport, and a domestic bill or bank statement which names you. You can send them as email attachments or by post. The best approach is to set up the bank account to receive the compensation cheque, as that will make an audit trail of the compensation money easy to follow. If you have already received your compensation payment that can be transferred to the trust bank account, but you will have to retain statements and documents which confirm the money came from a personal injury compensation case. Please note you should disclose the existence of the trust to the agency which deals with the assessment of your means-tested benefit. They should be told you have received compensation and you have set up a trust. You do not need to provide any more detail than that although questions may be asked and additional detail sought. It is simpler if I give notice to your benefit agencies on your behalf. The money in the trust can be used pretty much as you wish. There used to be complicated rules. Most of these rules have now been brought to an end, but as rules can always change as benefit agencies come under increasing budgetary pressure, I recommend you keep a record of all transactions of the trust. One thing I would strongly advise you to avoid is paying a regular amount from the trust bank account to a personal bank account. Paying yourself “wages” to cover the necessities of life can clash with some agencies interpretation of what is a trust. Getting into an argument with a benefit agency is to be avoided, as they stop the benefits and leave it to you to prove they are wrong. This may all appear artificial as you may not always be in receipt of benefits, but as it could prove necessary in the future to show how the trust fund was used you should keep your records from the start. You should not transfer money to your personal bank account or withdraw cash from the trust. By doing this you will lose the protection of the trust and the transferred money or cash will become subject to benefits means-testing. This is the case even if the money is only held briefly. The trust bank account should be used to directly purchase items. The date of your accident, or a description of your injury and the period if it occurred over time. Copy documents to confirm your identity – passport OR driving licence, AND a utility bill or bank statement. Do you wish to be a trustee? Please provide the full name/s and address of the person or persons to act as trustee/s. To confirm the identity of the trustees please provide passport or driving licence AND a utility bill or bank account statement. Should any trust fund remaining at your death be dealt with under your Will? If not, what are your wishes? The amount you received as compensation. I need the gross settlement or Judgment figure as well as the actual amount you are to receive. 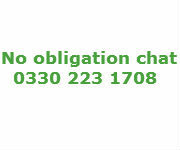 Have you received any interim payments, and if so when were payments received and the amount? Have you received a final settlement and if so when was the money received and where is it held? Documents such as a Court Order or letters or emails from your solicitor to confirm the personal injury claim, the date of the injury, and the amount of compensation. Hi, I’m due to receive an injury claim compensation but not sure yet when or the total amount. I’ve been told it can take up to 18 months to get solved and the amount will be in between 10k to 15k. We are receiving benefits so my question is, how long does it takes to open the trust fund? I guess It only makes sense to open it when I get the exact date and amount? You should set up a personal injury trust when you are to receive an interim payment or final compensation is known. Until I know the amount I cannot say if a trust is necessary. Once you provide the information I need, you should be signing the trust within two weeks. The trustees then open a bank account, which can take three weeks. A sensible time estimate from start to finish is six weeks. The points you must think about and the information I will need is explained here. Sorry just to add my partner claims contribution based ESA. We receive child and work tax credits and child benefit. Contributions based ESA is not a means tested benefit. Tax credits are not means tested benefits, the financial assessment being based on income. Receipt of £10,000 compensation will not reduce contributions based ESA or tax credits payments. What you must do is look ahead, to see if means tested benefits are likely. If likely, then set up a trust now and protect your future benefit entitlement. Read more about tax credits here. I assume this is the first payment of compensation. If a trust will be necessary eventually, why not set up a trust now. Alternatively, if the benefit agencies accept the debt repayment is reasonable, you will be treated as only having £4,000. If the debt repayment is not accepted as reasonable, you will be treated as having £10,000, even though £6,000 has been spent. A trust will then be necessary. So ask benefit agencies and request their response in writing. The problem with spending money to bring you below £6,000 is that the expenditure may not be treated as reasonable for someone receiving means tested benefits. You will then be treated as having the full amount even though you have spent it. This is called notional capital. The way to avoid having expenditure treated a notional capital, is to set up a trust and spend direct from the trust. Hello, I am due to receive in 2weeks £10,000 in full from a personal injury at work claim. My union are paying all fees etc as I was covered at the time of the accident. I work part time and UC pay some towards my monthly income to top up my wages. I have 1 child and pregnant with twins so will need to buy items for them soon. Is it worth me getting a trust fund, and if I set up the trust and appoint my sister and myself as trustees, can she refuse to allow any payment made for things such as passports,pram, cots etc. The compensation is being paid into a second account I hold to make purchases as it has additional benefits to my main account. But I would be happy to open a trust bank account if needed. The only way to protect your benefit entitlement is to set up a trust. Holding money in a separate account will not offer any protection, a trust being the only answer. The compensation money is yours, so it is important you have trustees you can rely on and will work with you. If you doubt a person will not work with you, do not appoint that person as a trustee. Hello, I have £6000 on my help to buy ISA. I receive £20 a week housing benefit and £80 a week child tax credit. I am receiving compensation of £4000 for bicycle accident I had in October 2017. Will I be better off setting up Personal Injury Trust fund? I do not see you have a choice as your housing benefit and council tax support will be reduced. Thank you for your response. I do not claim council tax support but £20 a week housing benefit only. If I put the money into my bank account will this affect my Child tax credit? Another question I have is: can I use funds from the trust to pay part of deposit if I am getting mortgage? Is there any interest on the trust fund? Tax credits are based on your taxable income, so receipt of compensation will not reduce your tax credits. You can hold trust funds in an interest-paying account or investment. If any interest or income on the trust fund is paid to the trust, it will not reduce tax credits. You can read more here. Hi Mark. I will shortly be receiving compensation of around £40,000. My husband and I are both retired and receive housing benefit and pension credit. I have around 5,000 in bank loans. Since you don’t recommend paying money into personal bank accounts, how can I clear these loans if I set up a personal injury trust? Set up a trust and pay all compensation into the bank account opened by the trustees. Repay the loan direct from the trust bank account. If the loan is repaid from the trust bank account, it is not open to benefit agencies to question the payment. I am on contributions-based ESA, and have been offered a small amount (£2,250) for injuries received in a car accident. This will not take my savings over £16k. Is it worth my while setting up a Personal Injuries Trust when doing so will take about a quartet of my payment? You are currently receiving contributions based ESA. This is not a means-tested benefit, so the compensation will have no effect. You are right to look ahead to see if means-tested benefits may be likely. For means-tested benefits you can hold £6,000. Benefits are not payable if you hold £16,000, with a sliding scale reduction of benefit between these two figures. If the compensation takes you over £6,000, you should do the sums, as you will find the cost of setting up a trust can be worthwhile when compared with the long term reduction of your benefit. I have recently been awarded out of court settlement of £35,000 I have no means testing benefits no debt and own my own property I am 72 years old married I have a military pension plus war pension plus state pension should I place this money in a personal injury trust your advice would be most helpful. From what you say it looks like you are not entitled to claim means-tested benefits as your income will be too high. Your income appears to be lifelong, so your financial position should not deteriorate. The only other protection offered by a trust is to keep funds outside the financial assessment undertaken by your local authority should you ever need care. If you intend to keep the money as a rainy day fund, then a trust will help preserve it should you require care. Thanks for your quick reply your advice very helpful and much appreciated. 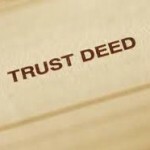 The answer is to set up a trust with a trust deed. The trustees then open a bank account for the trust and all compensation should be paid into that account. Provided you buy directly from the trust, your expenditure will not be questioned. people get themselves into trouble by having money transferred to their personal account or receiving cash from the trust account. Such money is no longer protected and counts against your benefit entitlement. The money you spend from your personal account or in cash will be analysed. The benefit agencies will ask if the expenditure is reasonable for someone in receipt of benefits. The answer is usually no, so although you have spent the money you will be treated as still having it. This is called “notional capital” and it soon tots up to reduce or even stop your benefits. Follow the rules and you keep your benefits and compensation. Mid September I received compensation for personal injury. My Barrister told me he would show me how to hide it. I was not happy about this and complained. I was then told that I hadn’t received enough compensation to warrant setting up a PIT Account. However, I think I should. The compensationgas been paid into a family member’s account at the moment, as I am not well enough to oversee this. The Trust fund will be set up with him and my daughter as Trustees. If you can only withdraw money by cheque, how would you pay for large items ie a new car? You have not told me how much compensation you have received. If you receive means-tested benefits, holding funds greater than £6,000 will reduce your benefits and more than £16,000 will stop the benefits. Hiding compensation makes no sense when you can set up a legitimate trust and preserve your benefits. Cheques are more useful than you might think. The trustees can jointly make a bank transfer, or arrange a bankers draft. A legitimate car dealer will accept a cheque, but probably not hand over the keys until the cheque has cleared. A trust is the only solution for you if the compensation will reduce or stop your benefits. It is also important to understand that all personal injury interim or final compensation payments are reported to the Department for Work and pensions. The report must be made by the insurer or defendant making the compensation payment. The fundamental principle is that you as the injured person cannot have personal access to the trust fund. Your idea of linking the trust bank account to your PayPal account would be fatal to the trust. The method you use to purchase items is the most important thing. Buy direct from the trust and you will have no problem. Transfer the money to your personal accounts, or into your hand as cash, and you have broken the fundamental principle. Ok that makes sense. So the injury to feelings element of my compensation could be held in a trust, but the loss of earnings part would not? Injury can be physical or psychological/psychiatric. On that basis some of your compensation can be included in a trust. This is particularly so if you presented medical evidence. I think the initial thinking when allowing trusts was to cover accident injury case and industrial disease. There are a wide range of other injuries, compensation for which can be protected by a trust. I would not guarantee you would succeed in a full scale argument with a benefit agency, but you would have an arguable case. Trust can also help those who receive payments for injury from insurance policies and other sources. I am due a compensation payout from my ex employer for pregnancy discrimination. Am I able to use a trust for this compensation or are trusts only intended for personal injury compensation? If some or all of your compensation was paid for an injury, by which I mean a psychological or psychiatric injury, that part of the compensation can be held in a trust. If you have a Tribunal judgment that will provide a breakdown of the compensation, but a trust is also possible if you reached a settlement. The settlement will simply have to be broken down to identify the part which was paid for injury. can i put my compensation claim I got. but e criminal injurys rnt prepared 2 put my money in2 a trust. Compensation paid by the Criminal Injuries authority can be held in a personal injury trust to protect your ability to claim benefits and seek local authority support for care. You have completed an application for ESA and not disclosed that £16,000 is held in Premium Bonds. Your benefit will be stopped and the first thought will be to prosecute you. The facility to put the compensation in a trust is there for you, so if it is held in Premium Bonds and it is more than 52 weeks since the first compensation was paid, the money is no longer compensation really; it is part of your capital and savings. You can politely suggest to the DWP that if the compensation was held in trust it would be ignored. They, of course, might ask why did you not put it in a trust. A trust can be set up now, but it will not protect the compensation for the period when it was not held in trust. You may also find by the time you have repaid the overpaid benefits you have very little less. Subject to how much money is left and being able to show the Premium Bonds were bought with compensation, a trust could be set up now and that would protect the compensation going forward. I have heard DWP staff say a trust must be set up within 52 weeks of first receipt of compensation. You can set up a trust any time you like, but it can only protect personal injury compensation from the date of the trust. If you are on benefits it is vital to set up a trust within 52 weeks of first receipt of compensation, but a trust can be set up later. My father has advanced dementia. He does not receive any means tested benefit but may need nursing care in the future. He is due to receive a personal injury claim payout of £250,000. I have POA. I would like to use some of the money to have an a downstairs bedroom and shower room built on my house so that he can come to live with me. Would I be able to do this and then put the rest of the money in a personal injury trust? I assume you have a Enduring Power of Attorney (EPA). This device allows an individual, called the donor, to appoint one or more attorneys to make property and financial affairs decisions, which the donor lacks the capacity to make. The starting point is the EPA. Are there any limitations on your powers? An Attorney must work in the best interests of the person who appointed them. I appreciate that making additions to your own home may be entirely in the best interests of your father, but as you are improving your own property you ought to contact the Office of The Public Guardian, which oversees EPAs, to seek their guidance. By all means set up a trust for the compensation as it will mean the compensation is not taken into account when assessing your father’s entitlement to means-tested benefits and local authority care. You must look at the finances of those you claim with, not just yourself. If your joint funds are below £6,000 you will receive full benefits. I think a benefit agency will accept repayment of a genuine business debt as being reasonable. I would contrast this to a debt owed to a family member which could not be proved. Benefit agencies which also accept necessary work on your home, that is repairs and maintenance rather than improvement. So you repay the debt and you have £6,000. Holding exactly that sum is too close to the line as there will be times when you slip above the line, for example when you receive benefit payments. It might be more convenient to hold the compensation in trust so you are not totting up your funds every time a payment is received. A trust will also allow you freedom to spend the trust money. Spending money when on benefits is always subject to assessment from the benefit agencies which ask if the expenditure was reasonable for someone who receives benefits. If not considered reasonable you will be treated as still having that money. Such expenditure from a fund is none of their business. Thank you so very much Mark for taking the time and making the effort to help explain all of the potential pitfalls; and for highlighting the best steps forward for me a litigant in person who is in the process of setting up a Personal Injury Trust Fund bare trust bank account into which I plan to pay the damages that have been awarded to me. It is very rare to encounter a friendly and helpful lawyer but in this instance I most certainly have. I recommend you, your company and services wholeheartedly and without reservation. I am 61 on DLA and Income Support and associated benefits. I have just received £80,000 personal injury payment. Solicitor advised taking out this Trust but her recommended company wanted silly money to sort it out. I have put cheque into a savings account at Barclays till I decide what is required. I know I have a year and require to purchase a few items to make my life easier to get around. I don’t really know additional two people well enough to be trustees and wouldn’t want anyone else controlling my money. What options or needs do I require? There are financial advisers who understand trusts but I suspect what has put you off is the ongoing fees. To make best use of £80,000 good financial advice will be a good thing and that advice could be one-off rather than ongoing. Such an adviser or a solicitor may provide professional trustees but the time clock runs every time they have to touch the matter. The answer for you may be to act as a trustee yourself along with two family members or friends. As you appreciate being a trustee yourself is not always a good idea, but in your case it may give you “control” in that you can hold the cheque book and receive bank statements and so on. There is no alternative to a trust to protect your benefit position so I think you must find those trustees. You can set up a trust quickly. All I need is the information set out on this page and the document can be prepared for you. It usually takes a bank or building society ten days to set up the account and provide you with a cheque book and cards. Ideally you should set up the trust, open a separate bank account, pay the compensation into that account and then pay off the overdraft. If you feel you cannot wait you can take advantage of the 52 weeks disregard and pay the compensation into your own account, and then later pay the balance into a trust. Provided the compensation can be traced in audit trail style you will not have a problem. I suggest setting up the trust quickly, as although you will have the 52 week disregard period, as time goes on it will be increasingly difficult to identify the compensation. So if a claim for a means-tested benefit is not likely in the foreseeable future, and you do not intend to hang onto the money, you can proceed without a trust. If you are going to hold on to the money, then a trust may make sense, even though the money is not significant. Six thousand pounds held in the family claiming will stop some benefits, and start to reduce others. It can be difficult to manage your family finances to ensure your benefit entitlement, and by taking compensation out of the equation by setting up a trust, you can overcome that problem. If you spend some or all of the compensation you can avoid the management problem I describe, but spending the money quickly, and then claiming a means-tested benefit, sometimes means you are faced with the accusation you have spent the money in order to claims benefits. Dissipating your assets is the phrase used by the benefits agencies. So if you are not claiming means tested benefits today, and you spend some or all of the compensation on something like home improvements, you do not need a trust. However, if you had to claim means-tested benefits in the near future, spending the money through a trust would avoid the dissipation argument. Every case is different, but you can see that a reliable crystal ball would be very useful. The answer depends on the policy of the bank or building society. As a trustee I think the bank would check his identity but I doubt they will undertake a credit check. The more likely complication is that creditors might try to argue the money in the trustee account belongs to the creditor. Of course it does not but they might get involved in an argument. For this reason, and it is only on grounds of convenience I would suggest looking for a different trustee. I have a chq for compensation for 170k and don’t know whether to set up a trust or not. I am not currently on any benefits as I am a student over 18 years old and live in at university. Obviously I don’t know what the future may hold for me after I graduate. Should I bank the cheque and accumulate as much interest as possible as at some stage I will want to purchase a house or will this put me at a disadvantage? Will it effect any benefit I may claim in the future? Your question is a good one, and highlights a misunderstanding often held by solicitors about compensation protection trusts. Many compensation solicitors think a trust is only necessary if you are claiming benefits at the time when compensation is paid. You are asking the right question, which is what about the future. You have received a substantial amount of money which indicates you have a level of disability which might mean benefits will have to be claimed in the future. You intend to save the money, and will probably use it to buy property. So why might you need a compensation protection trust? Quite rightly you say you do not know what he future holds. Holding that sort of money without a trust would prevent any benefits claim for a long time. Buying a property would take the money off the radar of the benefits agencies, except if care was required, when a property can be taken into account when the local authority undertakes its financial assessment. I would suggest you set up a trust and invest the money within the trust. The compensation and the interest you earn is then irrelevant to a benefits means-assessment. Thinking very long term you could buy property through the trust, so that the trust will own the property rather than you personally. That will mean the house is outside a local authority financial assessment should you need care. You are right to think ahead, and a trust is the best answer, the only downside being the minor inconvenience of managing the trust fund or its investments separately to your own “personal” money and investments. Thank you Mark for the advice. Does the money have to be held together in one financial institution? If only £85,000 per institution is covered by the FSCS would I be risking the remaining £85? You should have no more than £85,000 in any one financial institution. Take care when you decide what to do as many apparently independent institutions are part of the same organisation. For example the organisations we knew as Abbey and Alliance & Leicester are part of the Santander Group, and the £85,000 applies to all of those organisations as they are one organisation on reality. You do not have to keep the trust fund in one account, so open other accounts or investments with other organisations and make sure the trust owns the account or investment. The easiest way to be sure is to have the account with the same name as the trust. In the future if I want the trust to buy a house and therefore own the property, but there is not enough capital in the trust to cover the whole of the purchase price, would I have to look for a cheaper property or could I add personal money or a obtain a mortgage? You will have to check with your bank or building society but I think it unlikely a mortgage would be available to you to make up the difference between the trust fund and the price of the house. A mortgage is an agreement that you will make repayments against the money you owe, and if you fail to pay the mortgagee (lender) will sell the house to recover its loan. Part ownership by a trust might be seen to impeded the ability to repossess the property. Ask and let us know as there may be a sensible way around this. I cannot be specific about one bank or one branch as the experience of clients has been so mixed. It depends if the person you speak to has dealt with a personal injury trust before. I am gathering client experiences on another page on this website so do please visit, and please let me know how you get on. Thank you for an extremely informative and easy to understand website.No legal jargon just down to earth advice and practical guidance.i wish all solicitors and lawyers were like you.This is the most helpful site i have come across on this topic.I truly commend you. Very well done and once again thank you!